Here’s a fun and portable dessert for your next picnic or friends’ party. They’re fun to eat but funner to make! 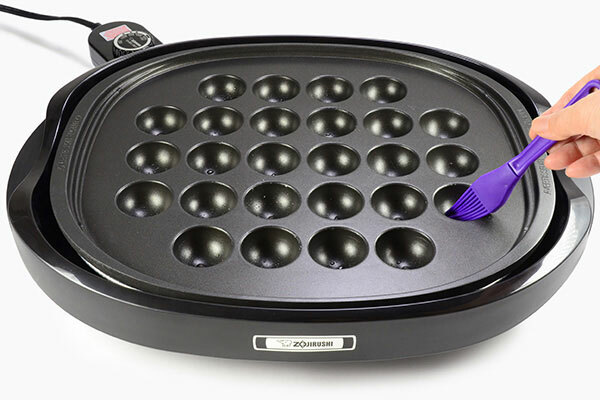 This recipe was developed for the Gourmet Sizzler® Electric Griddle (EA-BDC10) with its Optional Takoyaki Plate (EA-YBC01). 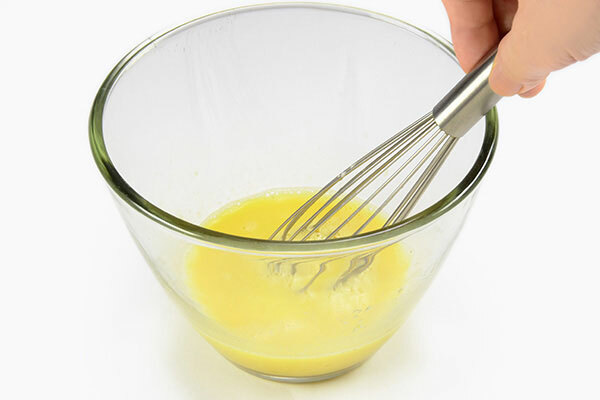 In a bowl, beat egg and add milk, sugar and mix well with a whisk. 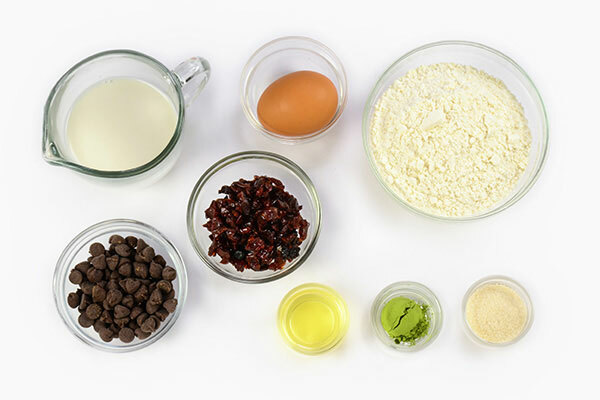 Add pancake mix then divide into two equal portions. 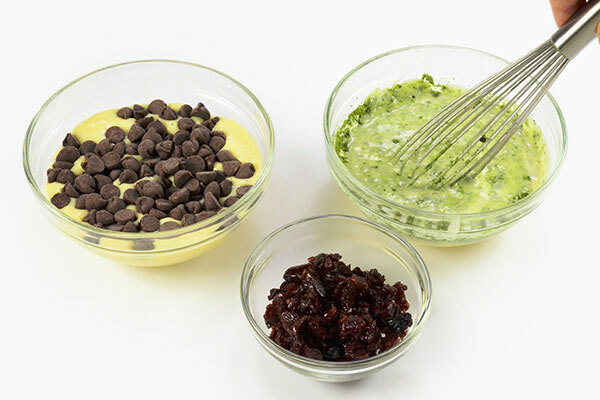 Add Matcha and cherries to one half, and chocolate chip to the other half of the batter. This recipe makes 2 different batters. Turn the Temperature Control Dial to 300. 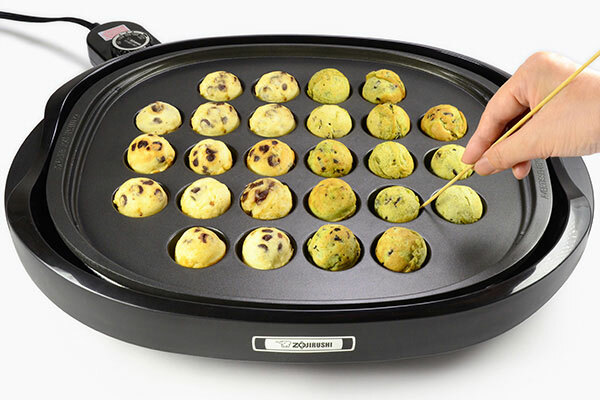 When preheating completes in about 3 minutes, grease Takoyaki Plate with vegetable oil. Pour the batter from step 2 into the holes using a spoon, etc. 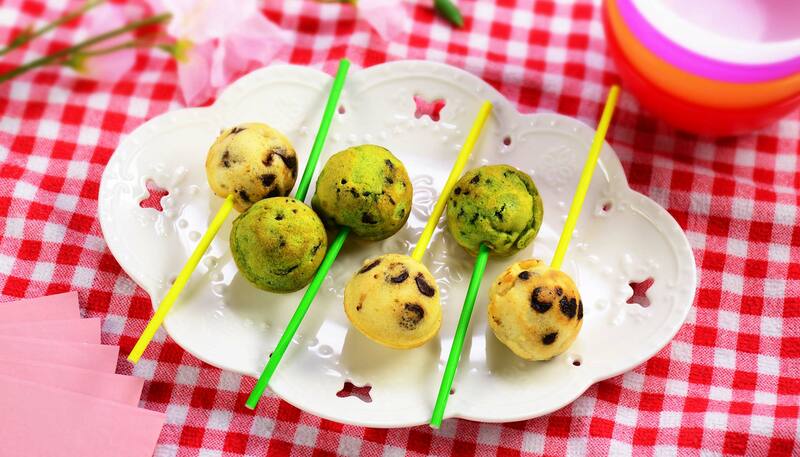 Fill 13 holes with the Matcha and cherry batter, and the other 13 holes with the chocolate chip batter. Tip: Try making in smaller batches first to prevent them from burning. We recommend practicing with one hole before making the rest. 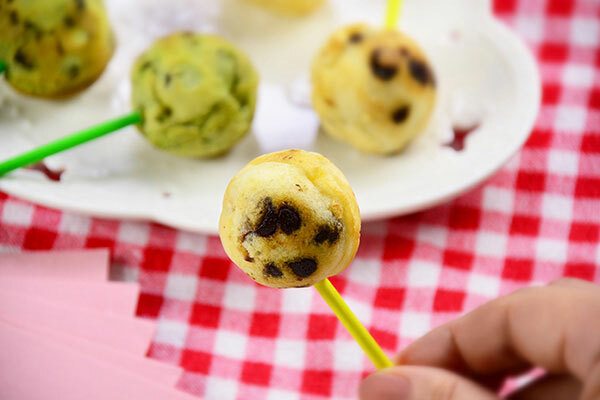 When small bubbles appear in the batter and the edge begins to firm but the center is still runny, use a bamboo skewer to turn it about a quarter-turn, and cook for another minute or until firm enough to move, then turn another quarter. 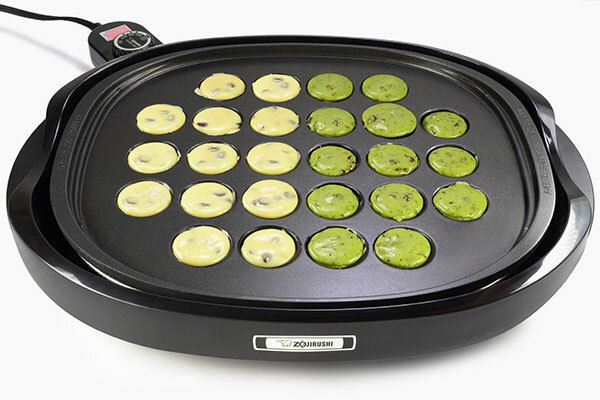 Keep on turning to cook the entire surface evenly. Repeat until all cake pops are cooked through. 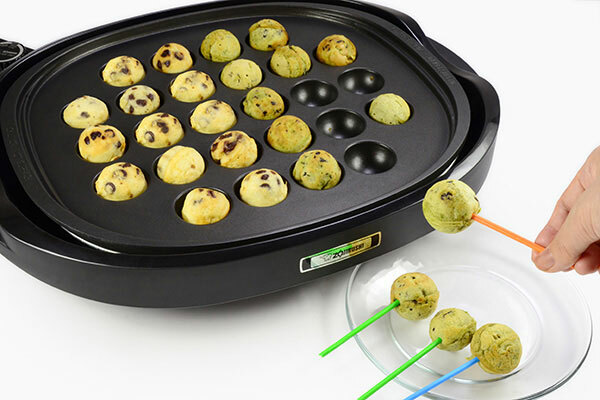 Insert cake pop sticks or bamboo skewers into the cake balls about half-way and transfer to a plate. Enjoy while hot, or take them with you, as they are easy to transport and keep their shape.